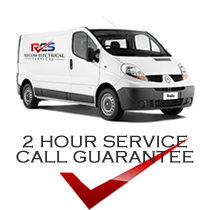 Recom electrical services provides preventative and corrective maintenance for a wide and diverse range of clients providing a 24 hour 7 day a week service on a national basis. Recom has over 40 years experience and is recognised as a key provider of electrical solutions within the commercial, industrial and retail sectors. Through our multi-discipline resource base we are able to offer diverse services including, engineering, design development, large scale electrical installations, preventative and corrective maintenance services, communications installations, disaster recovery services and national implementation strategies for roll out type projects, to name but a few. Recom provides preventative and corrective maintenance services for a wide and diverse range of clients providing a 24 hour 7 day a week service on a national basis. Our service technicians are fully trained and familiar with each clients needs in respect to their critical infrastructure allowing major faults such as power outages, communication network failures and equipment malfunctions to be rectified with minimal disruption to normal operations.